TCAR is currently building for a big public meeting to discuss, learn, and educate around issues of British state racism. 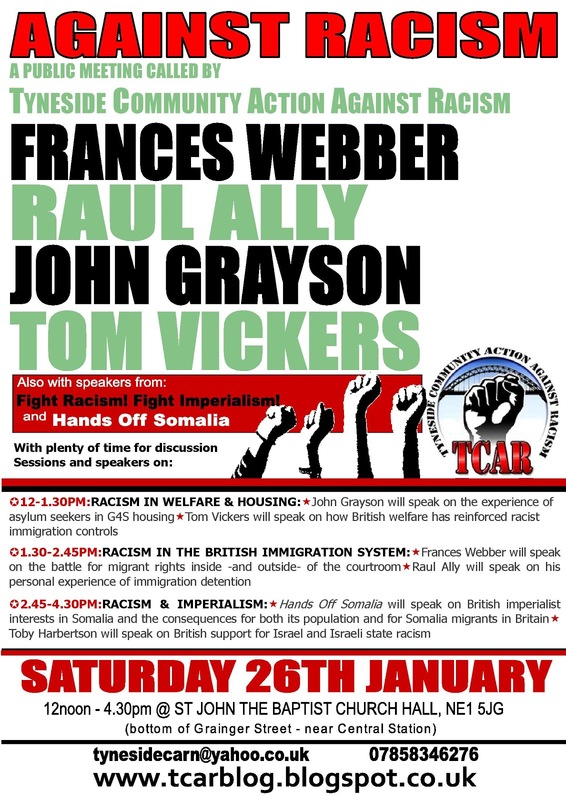 With cuts and austerity deepening and disproportionately effecting black and asian people, we need to make this a great event to build the fightback against racism. Contact us for leaflets or posters to build the meeting in your area, and to get involved in organising. See below for details of speakers, venue, and running times. Together we are stronger!